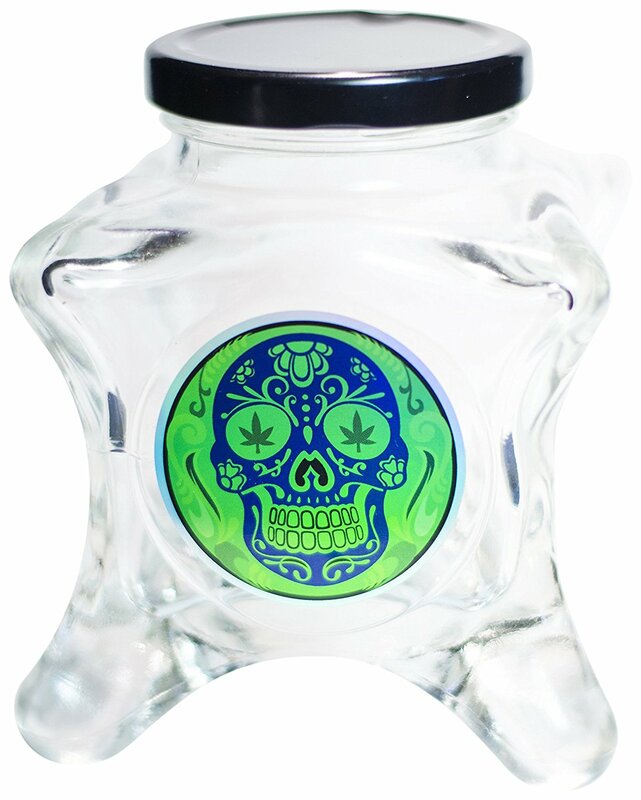 The Volume of this jar is 314cc, which fits 3/4 to 1 ounce of herb ~ Dope Jars unique design is the perfect conversation starter. 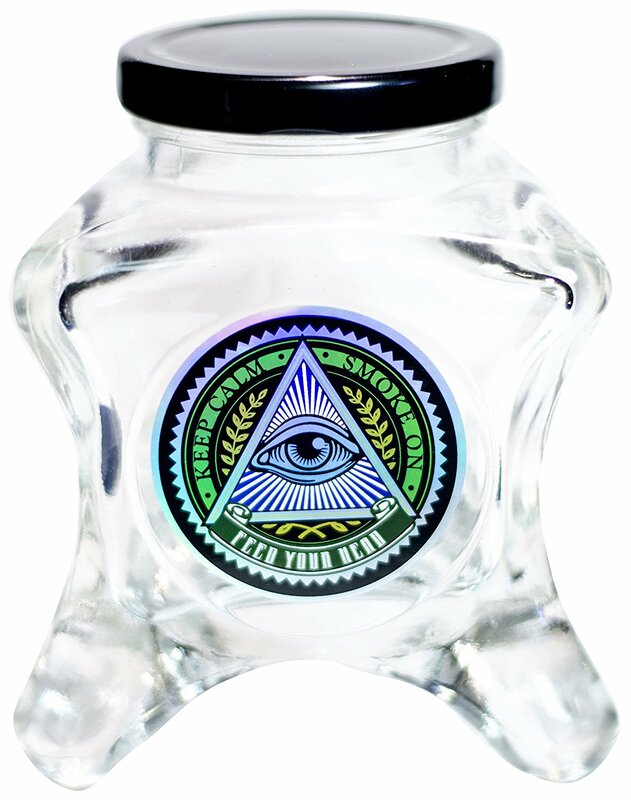 The design of this jar is unlike any jar shape you have ever seen. These Jars stack, and if you have two of them, you can spin the top jar like a top. Will trip your friends out. The first thing your friends will say is “Dope”! The opening could be a little bigger, otherwise it’s awesome. They even give you an extra lid. Fast delivery , awesome product ! I’ve ordered 2 jars from these guys. Got the shrooms one & the indica one. They hold roughly half an ounce of your….”herbs” lol My spices stay moist inside the jar. The fact that it doesn’t dry out in them is a major plus! I live in AZ & it’s always hot & dry, so I used to store my spices in a cigar humidor lol But no more 🙂 Might buy a 3rd one as well. GREAT ITEM ALL AROUND! 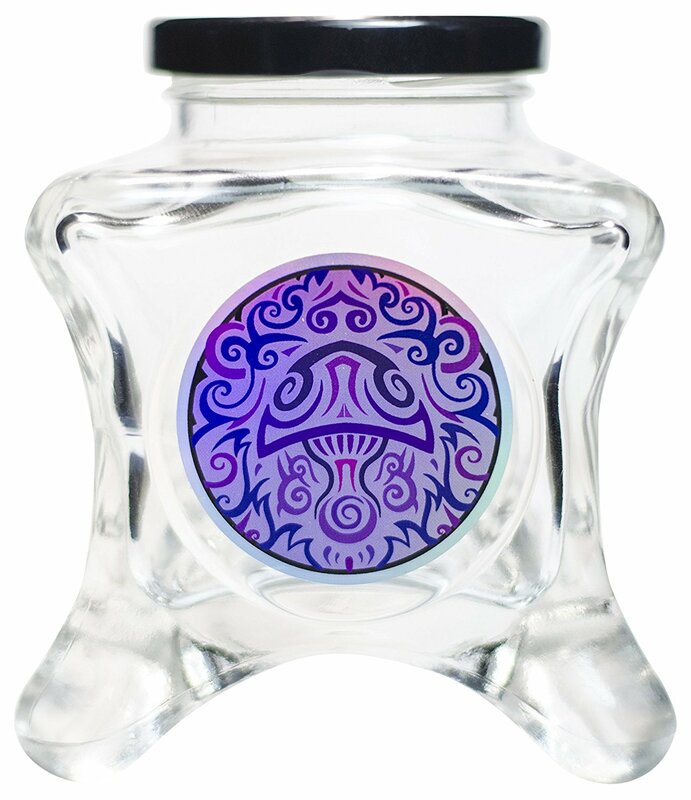 Thick glass, awesome size, good price and extra lid. The picture doesn’t do this design justice the picture is holographic and awesome looking! 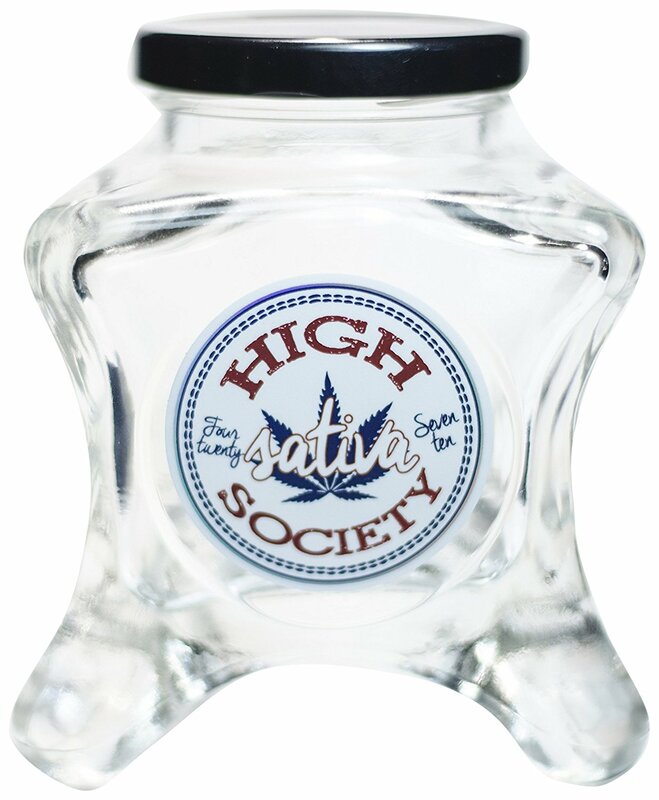 Great jar to keep your goods. Stacks so nice. And keeps things organized nicely. If you’re a medical or rec. cannabis smoker, it keeps your herb nice. Just make sure you get the right sized jar for the amount your putting in. Obviously if you’re getting a small jar it wont hold a lot. If you get the right sized jars, then you’re golden. I use the big UV Dopejar to cure with too. It’s works GREAT for that! Received it quickly, and it came with two lids (one silver with decal, one plain black). It is one badass jar. 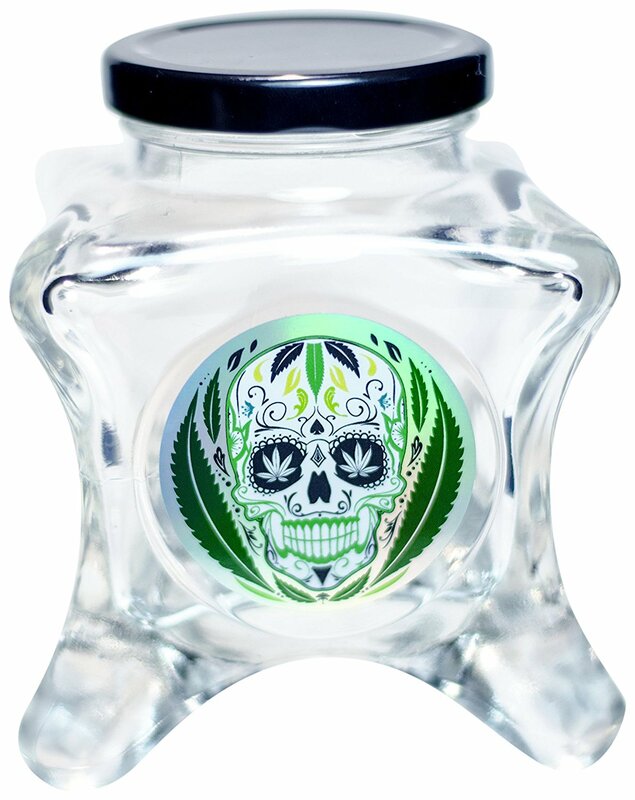 Before you purchase, remember, this jar will hold a ton of your “herbs” and the hole is not that large, so if you will only be keeping small quantities in this jar i would suggest a smaller size! Got it for my friend. They love it and use it for herbs. Does it’s job. 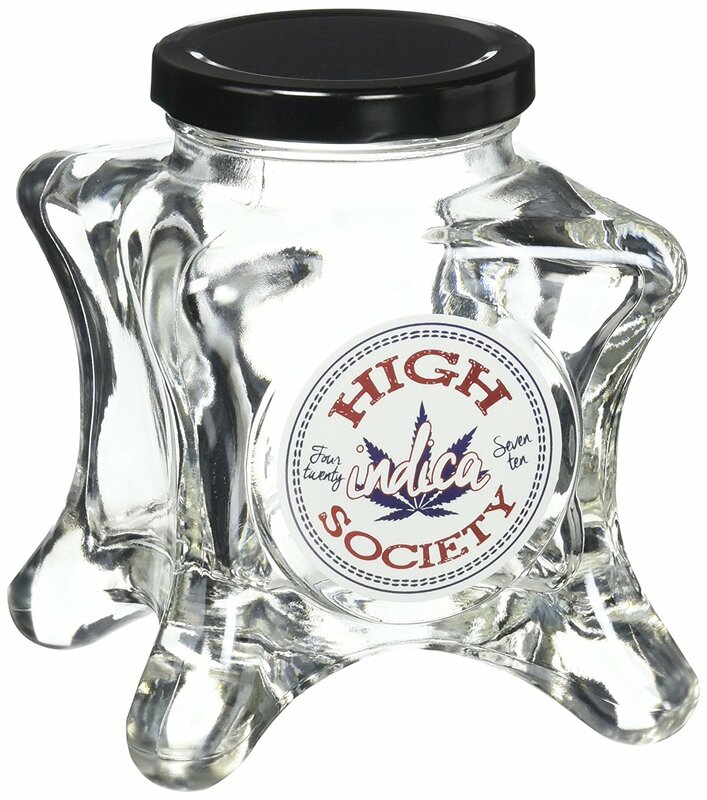 Best jar out there, thick glass and they even threw in an extra lid with a different design. Love it! Great product for a great price. Fun and great looking. 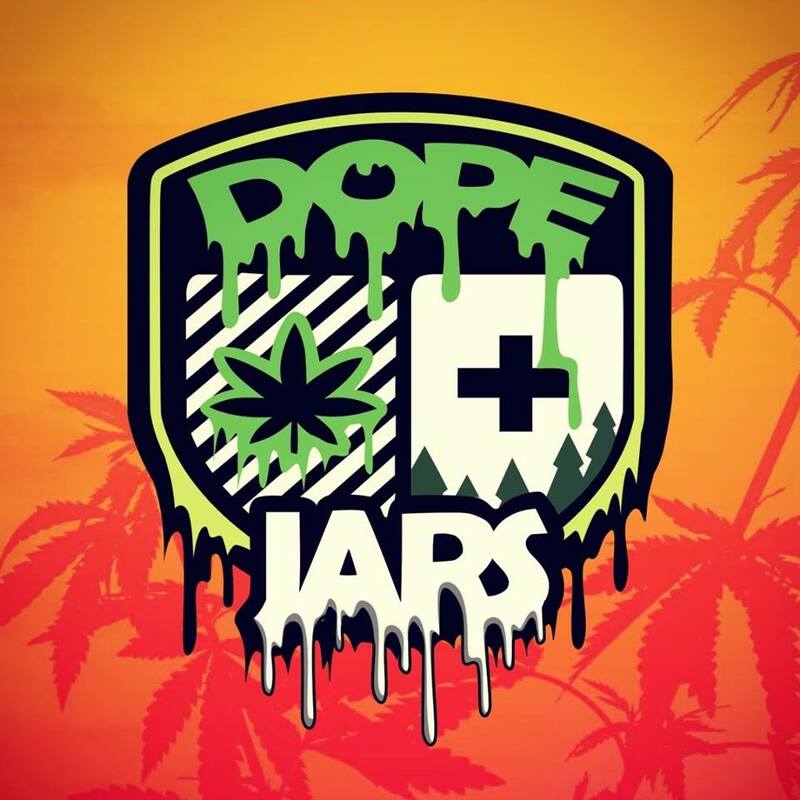 Thanks Dope Jars.